This week, the 9th U.S. Circuit Court Of Appeals ruled that prosecuting homeless people for sleeping outside might be a violation of the United States Constitution’s Eighth Amendment, which bars cruel and unusual punishment. It’s a process to mentally, emotionally, and physically shake off the despicable trauma of the NYC homeless shelter system. 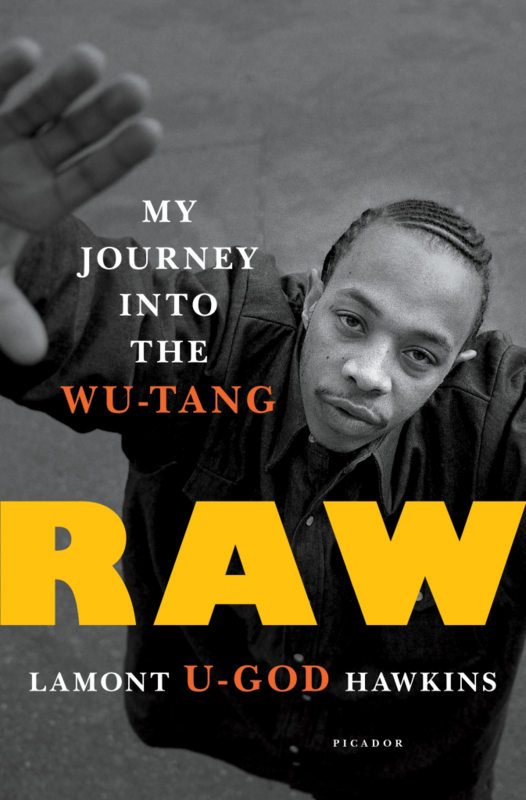 When I read Wu Tang Klan’s U-God’s memoir, a passage in the tome regarding adjusting to life after incarceration reminded me of adjusting to life after being homeless. Despite the traumatic and extremely negative experiences I had in the NYC homeless shelter system, I appreciate what I learned and experienced there. My experiences in that system armed me with a effective and potent tool for helping others. I will never forget what I experienced, and I will not stop speaking out about it until things are changed, and greater numbers of people are helped. To commemorate my anniversary, I have set some new personal goals. Me and my husband will also go to a shelter this weekend and give back, directly, to the people. Chattel slavery involved the restricted and forced movement of slaves. By definition, a slave, “a person who is the legal property of another, and [who] is forced to obey them,” moves where their “owner” tells them to. After all, legally, ownership is characterized by possession, both active and constructive. One who legally possesses something or someone can move that person or item as they see fit. Being a resident in the New York City homeless shelter system has brought to light the stark reality that I am viewed as a slave: A person identified and addressed by their room number; A person whose protestations of improprieties are disdained and looked upon as uppity outcries to be ignored; A person who is not entitled to question the rules and regulations they are subjected to, no matter how unreasonable those mandates are; A person whose movements are grossly restricted; a person who is told when and where they can have food; A person who can be summoned and scheduled at administrators’ whims; A person who can be moved without granting consent. Yesterday, my case worker and a security supervisor knocked on my door to deliver a document they wanted my family to sign. The document stated that we would be moved to a new shelter and would “not be permitted to remain in [our] current shelter.” The document also stated: “You will be required to report to your new shelter placement once it’s identified. You and all family members must be present and ready to leave your current shelter placement by 11/18/2016.” The letter failed to state the raison d’etre for our unexpected, mandated move. We do not, and have never, participated in any criminal activity, drug or alcohol use, or any other negative activity or interaction that would warrant such a sudden, unconsented displacement. We are law-abiding citizens with careers that require that we have pristine behaviors and backgrounds. We are also people who have formally, via a bevy of written and verbal communications, spoken out about the lack of, and poor quality of, services we have received as shelter residents. We started out appealing to shelter and Department of Homeless Services (DHS) administrators. When our appeals were ignored, we reached out to elected officials and community leaders. Pleasantly, we have received some great feedback from the latter; while disappointedly, we have been ignored and castigated by the former. Now, we are supposedly being shipped away without our consent in less than 48 hours. Who else is subjected to such treatment except slaves and prisoners? When my case worker and the security supervisor knocked on my door yesterday with the aforementioned displacement document from the New York City Department of Homeless Services, they could not explain why we were being moved or where we were being moved to. My case worker answered my inquiries requesting that information with the response that she was just “the messenger.” Clearly, she was a messenger with an incomplete message. Being that we were not given the full story regarding this unexpected proposed move, we reasonably refused to sign the document. We were then told by the shelter’s administrators that we would be moved whether we signed the document or not. I found that incredulous because printed right above the endorsement section of the document was the statement, “I have agreed to transfer from my current placement.” Our refusal to sign the document was a denial of making such an agreement. Still, we were told we would be moved without our consent. Even more appalling is the fact that this document came from DHS administrators who failed to show up for multiple meetings they have scheduled with us. (There are several memorandums that prove this.) We have also sent several unresponded certified letters to these administrators over the past few months wishing to address their failure to attend meetings, and various other serious administrative issues. So why the sudden, out-of-the-blue, unconsented, forced move? Is this some kind of gross error? Is this retaliation for speaking out? Is this retaliation for connecting with community members who have expressed great displeasure with the shelter’s management? Why are we being told that we will be forced to move to another shelter instead of receiving the housing assistance we have continually requested? So many unanswered questions! This sudden, threatened upheaval is yet another unwarranted threat to my family’s well-being. I reside in a shelter that does not allow residents to have a table or a chair. When I found this out, I asked my case worker if I could be allowed to have a chair. I told her that I have a professional skill that requires daily practice, and in order to perform this daily practice I needed a chair. This was another incident, in a multitude of shelter incidents, that continues to make me feel like an incarcerated ward of the State. After doing some independent research, I found out that I could file a reasonable accommodation request form to ask for permission to have a chair. (Isn’t that something?! A human being having to file a form and write a letter to get permission to have a chair so they can sit in an upright position.) Of course, my case worker did not offer this as an option to me. After a couple of months, my request was granted, and I was able to possess a small folding chair. I feel like an inmate. I’ve been a law-abiding citizen my entire life. Rents sky-rocket, I get pushed out of my home of 5 and-a-half years, and now I’m being made to feel like a prisoner. A prisoner that has to get permission to have a necessary, basic item. A majority of the staff in the shelter address the shelter residents by their room number as a form of direct address; Just like prisoners being addressed by their jail identification number. That speaks volumes about the intentions and conditions of the homeless shelter system.